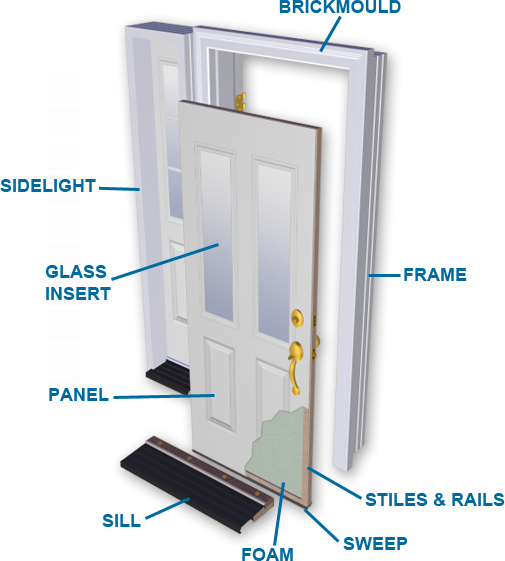 Protect the structural integrity of the exterior door, patio door or skylight in that, it should not support any load other than its own weight. Provide an airtight seal around the perimeter. Include continuous and unbroken thermal insulation between the frame and the surface of the rough opening to which the frame is affixed. Accommodate proper drainage of water away on the exterior exposed side and protect against leakage. This is especially critical with skylights. Make some allowance for differential movement between the exterior door, patio door or skylight and the wall or roof opening. Ensure that all moving parts operate freely and properly. Maximize the performance of the energy-efficient features of the unit.